Mason jars are no longer just for canning. Today we use them to drink from, to cook inside, andwith almost limitless possibilitiesto craft with. 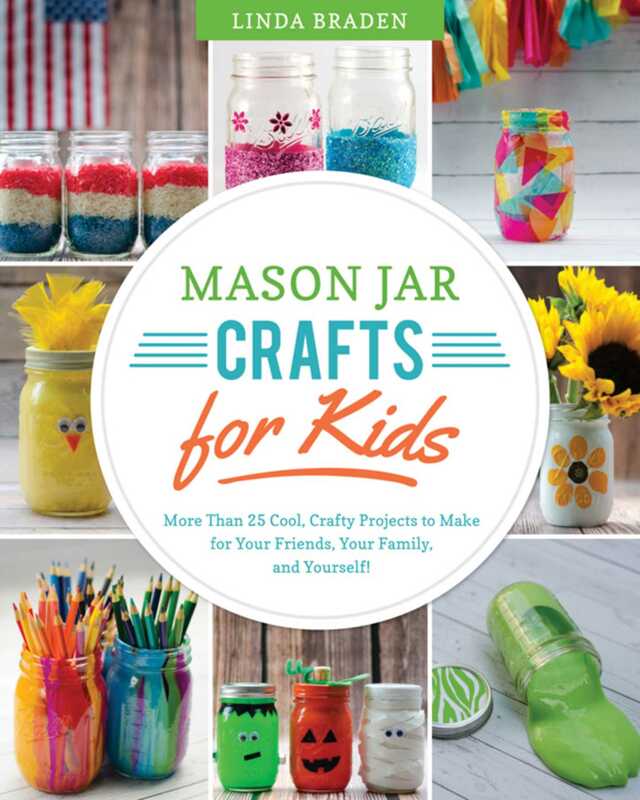 In this fabulous new book, Linda Braden, author and owner of MasonJarCraftsLove.com and ItAllStartedWithPaint.com, offers up a collection of fun and creative Mason jar crafts for kids. Her ideas include everything from wild science experiments and delicious edible treats to holiday decor and gifts for the whole family. Kids won’t want to miss the fireworks in a jar or the lava lamp jar projects. And who could resist a Mason jar cupcake or a rainbow Jell-O jar? There are instructions for how to make your own lantern jars, snow globes, and even a Mason jar terrarium. This book will keep little hands busy all year round, with dozens of easy do-it-yourself projects. Accompanied by photo tutorials and helpful step-by-step instructions, these projects are kid-friendly and offer a variety of options for both beginning and more advanced DIY fans. Each project is complete with age recommendations, a list of supplies you will need, and safety precautions. These projects are great for crafting with a big group or alone with your child, and perfect for long summer days, rainy weekends, and holiday preparation. Be inspired and discover the endless possibilities with the world’s most famous jar!